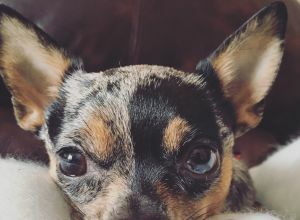 Bailey | Chihuahua in Montréal. Really friendly chihuahua loves cuddles and kisses and does not bark at all i dont think she knows how! She loves walks and playing fetch with her toys and little pieces of wood. She loves exploring and eat pretty much everything.